1. The Cooperative Preschool Program for the very young group 1-3 years old. You can find more information about this program here. 2. The PreK Program for 3-5 years old who are ready to be in a structured classroom setting. You can find more information here. 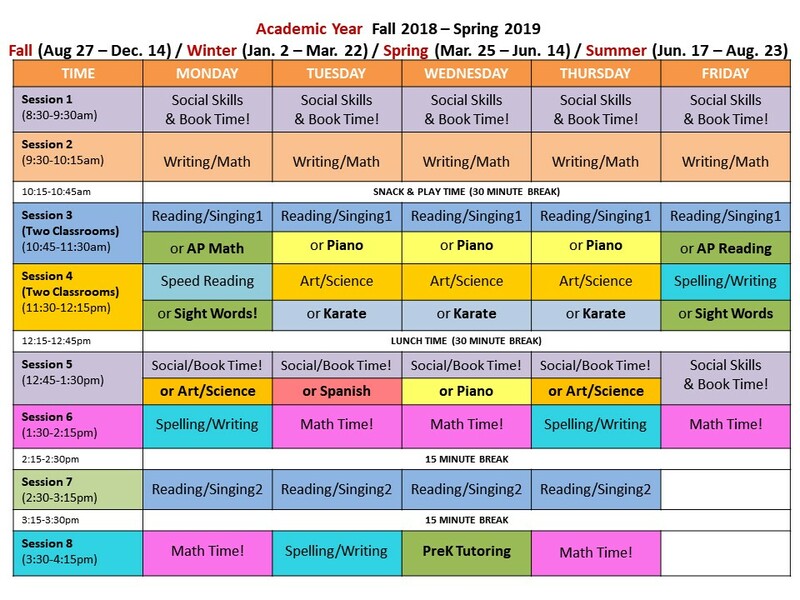 Below, you can see our updated class schedule. Click on it to expand. 3. Our elementary school program for kindergartners and first graders. We will soon add a 2nd grade program. You can find more information here. 4. 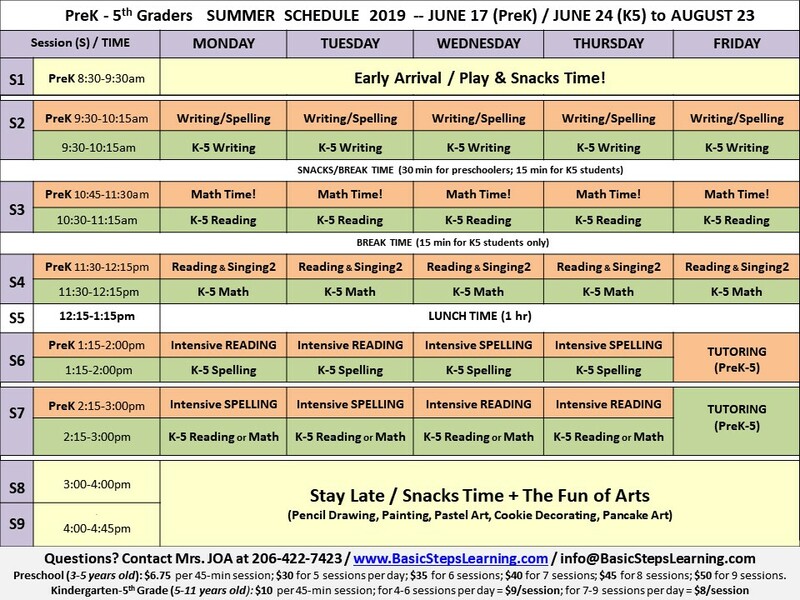 Summer Literacy Camps for preschoolers and K-5th graders. You can find more information here. Below you can see the most recent summer schedule.